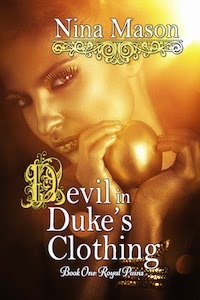 Maggie York, a convent-raised foundling, knows the Duke of Dunwoody’s sexual tastes are a shade or two darker than normal, but marries him anyway—partly because she has no other prospects and partly because, try as she might, she can’t seem to exorcize her desire for the dashing ducal devil. Two years ago, she watched him swive and spank her lady's maid, luring her from the garden of innocence into the orchard of fleshly delights--and she's been hungry for more ever since. Guilt crushed her chest like a boulder. Yes, she’d married him to gain security, but she'd left out the part about lusting after him deep in her heart. 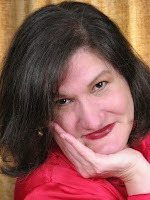 She moved away, removed the full-sleeved bodice, and laid it over the bench at the foot of the bed.